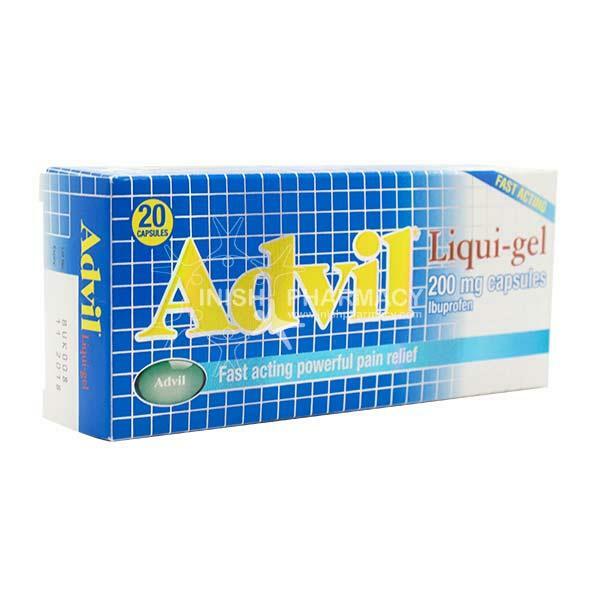 Advil Liqui-Gel Capsules contain Ibuprofen, in a fast acting soft gel capsule, bringing powerful pain relief. As with all pain relief medicine, you should only take the lowest necessary dose for the shortest timeframe needed. Take 1-2 capsules every 4-6 hours if required, but it is recommended to leave between 6-8 hours between doses. Maximum of 6 capsules in a 24 hour period. Who Can Take Advil Liqui Gel Capsules? It is not recommended to take Advil Liqui Gel Capsules when pregnant or breastfeeding. Have ever suffered from stomach bleeding after taking ibuprofen or any NSAID medicine.